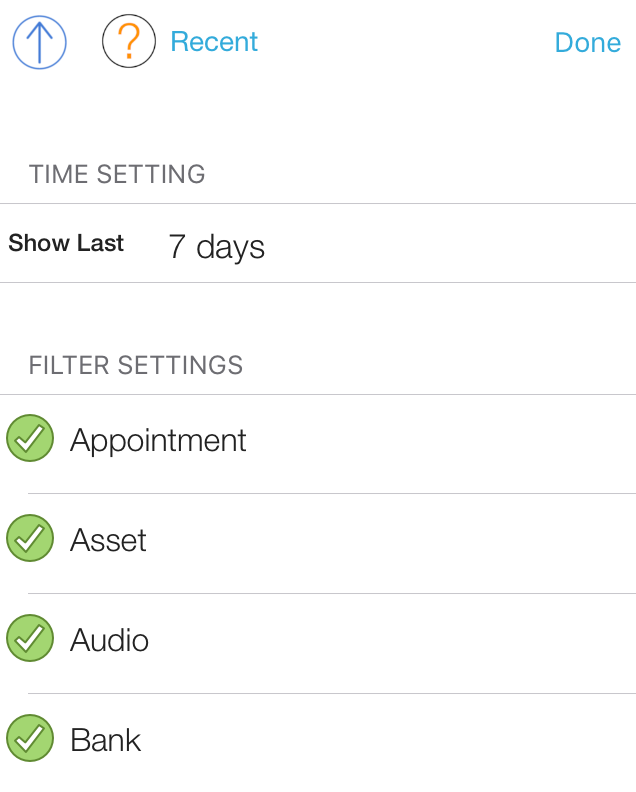 The Recent view in your LightArrow app shows all the items that you have recently added or modified. This view makes it convenient to find recently-updated items. You can modify any item from this view by tapping it and then tapping Open. By default, it shows you items that you have managed in the last seven days. You can find the Recent view by tapping Recent in the left pane of the main view. In the Recent view, tap the Filter icon in the top corner. Select the number of days you wish to go back from Show Last under the TIME SETTING.